Learn to see the landscape of the Sonoran Desert through the eyes of the Agave-Human symbiosis. This three-hour class is a behind the scenes tour of Tumamoc Hill that will cover and build upon basic drawing concepts and techniques and provide a detailed presentation of the importance of agave in desert cultures and recent scientific breakthroughs. 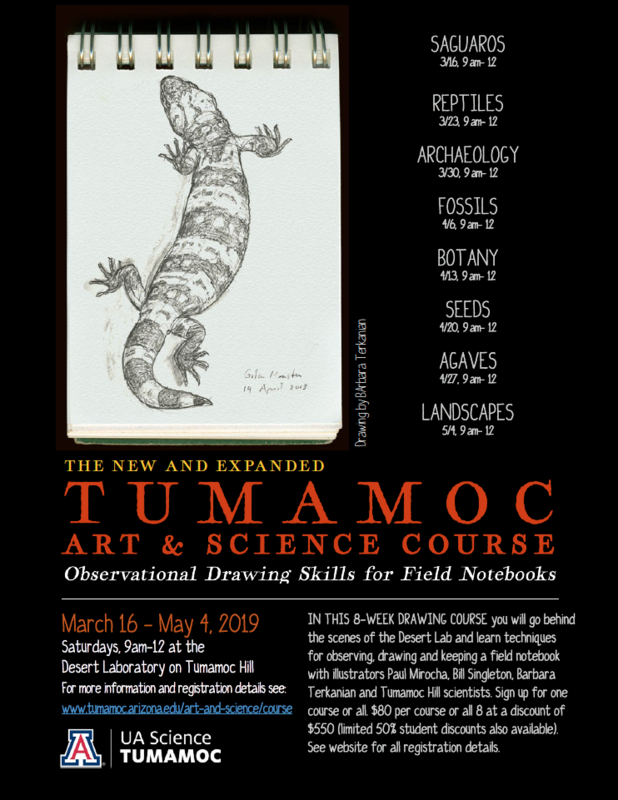 Come to learn to draw, understand, and see the desert in new ways.